Korean speed skater Lee Sang-hwa's recently revealed romance with K-pop figure KangNam took a fresh turn as fans were quick to notice a red heart emoji the athlete left on her lover's Instagram. The boy band M.I.B member-turned-trot singer on Sunday posted a selfie in which he tastes a cake in front of colorful alphabet-shaped balloons that read "HAPPY BIRTHDAY." He is wearing a black cap fashioned with decorative letters that partially read "YASUO," the first name in Japanese of the star born of a Japanese father and Korean mother. The post encouraged visitors to congratulate him on his birthday. It also promoted his YouTube channel launched earlier this month, where he hosts "drunken conversations" with guests while drinking alcoholic beverages. "If you are bored, please watch my YouTube. Check my profile. URL is there," said the star on Instagram. The Tokyo-born, who moved to Hawaii as a teenager, was expelled from four high schools, before returning to Japan to graduate at a foreigners' school in Yokohama. A slew of congratulatory comments in diverse languages including Korean, English, Japanese and Thai followed the post. Among the messages was a text-free heart emoji under Lee's account "sanghwazz," who has 336,000 followers. "The comment without many words had enough love," a local media report said. The couple, having dated for the six months, admitted their relationship on Mar. 16. Some fans have predicted that the 500-meter gold-medalist in Vancouver in 2010 and Sochi in 2014 and a silver-winner at PyeongChang in 2018 might marry KangNam, 32, whose real name is Namekawa Yasuo. 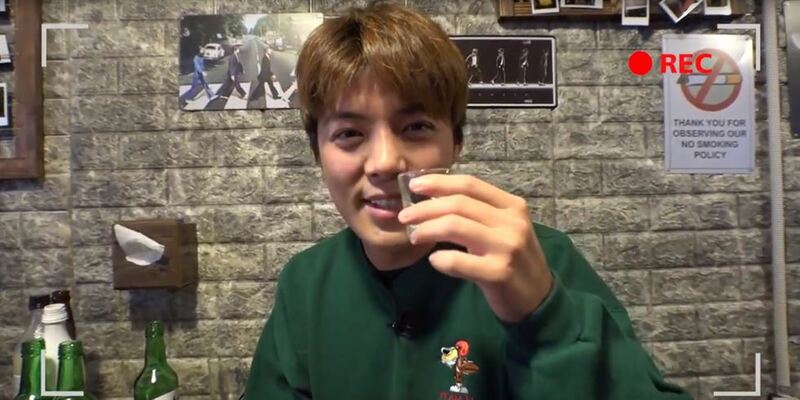 In November 2018, at a house-warming party held by KangNam and his agency's CEO Tae Jin-ah on TV Chosun's reality show, Lee, the sole female guest, was commended by male celebrities at the party as a good pick for KangNam's real-life girlfriend. The episode generated tabloid interest in the pair. KangNam told Yonhap News Agency he met Lee in September 2018 while shooting SBS TV's reality show "Law of the Jungle," in which celebrities strive to survive extreme environments in wild, uninhabited regions using natural resources.